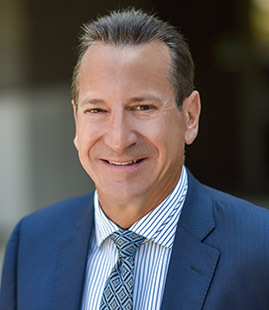 Ralph applies his more than 32 years of experience in the financial services industry and his experience as a former CPA to help his clients implement sound wealth management strategies and comprehensive financial planning. As a family wealth advisor, Ralph gains a good understanding of each client’s goals, values and concerns, and then provides trusted guidance as their needs evolve, from college planning to retirement planning to estate planning. Before co-founding Wells Trecaso Financial Group, his registered independent advisory firm, in November 2017, Ralph was a Senior Vice President at Morgan Stanley, where he worked for nine years. Earlier in his career, he was a Senior Vice President at UBS/Paine Webber, where he began working in 1985. He earned a bachelor’s degree in accounting from The University of Akron. Ralph is a member of The University of Akron Estate Planning Professionals, The Bluecoats, and the Northern Ohio Italian Association. He is a board member of St. Vincent-St. Mary High School and a current member and past president of the Italian American Professional & Businessmen’s Club, where he serves as co-chair of the annual Viva La Panza fundraising and networking event. Ralph grew up in Akron and today lives in Cuyahoga Falls. He has three children, Samuel, Lauren and Andrew. In his free time, he enjoys boating, travel, skiing, food, and Cleveland professional sports.